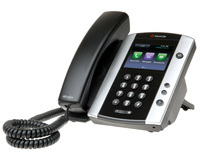 Please note the firmware version 4.1.0 is currently only available through your local Polycom sales representative. 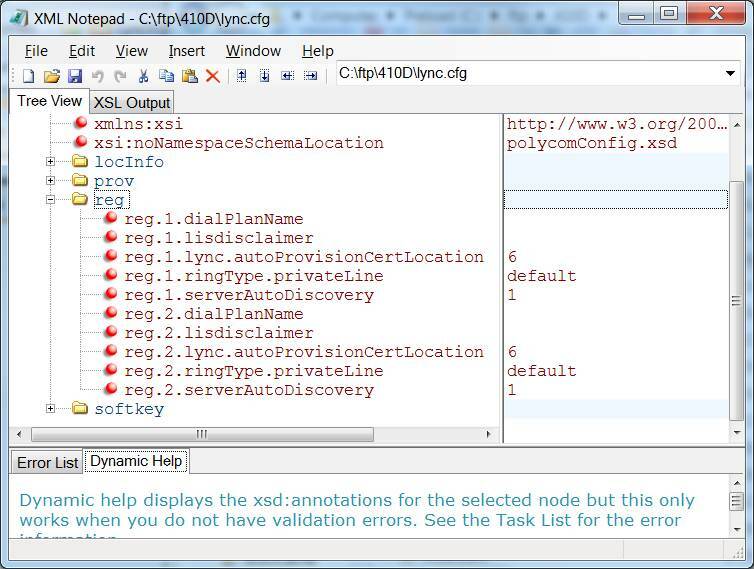 The remainder of this article provides guidance on how configure the VVX500 for Lync integration. It assumes you already have a working Lync2010 server environment and the Lync user account used to login into the phone is already enabled for Enterprise Voice with the necessary dial-plans and voice policies. If this is not yet done, consult the Microsoft documentation and complete the setup before proceeding. 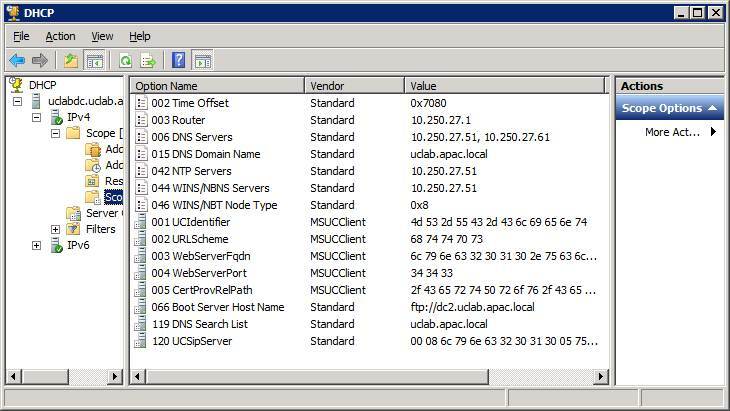 Option 120 UCSipServer: This is required for the phone to locate the Lync Front End servers for SIP Registration and is also automatically generated by DHCPUtil.exe. As an alternative to setting up DHCP options on a DHCP server, you can use the bullt-in DHCP on the Lync server by running the cmdlet set-CsRegistrarConfiguration -EnableDHCPServer $true. This will allow the Lync server to provide options043 and 120 to the client but note that it will not assign DHCP addresses. 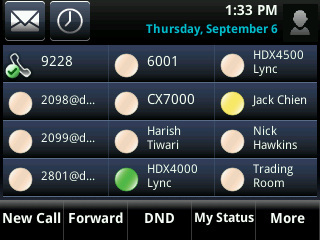 You still need the DHCP server to assign IP addresses to the phones. A factory default VVX500 is preconfigured to use a user account/password of PlcmSpIp/PlcmSpIp (case sensitive) to login to the FTP server. You can create a new AD user with this username and password with permissions to read/write to the FTP server, or you can create a user with different username and password as long as you specify it in the phone settings. When the phone boots up, it automatically tries to download the XML config files and/or new firmware from the FTP server. Note that since you have unpacked the firmware in the ftp directory, the VVX500 will also automatically update its firmware to UCS4.1 if it's running an older version. 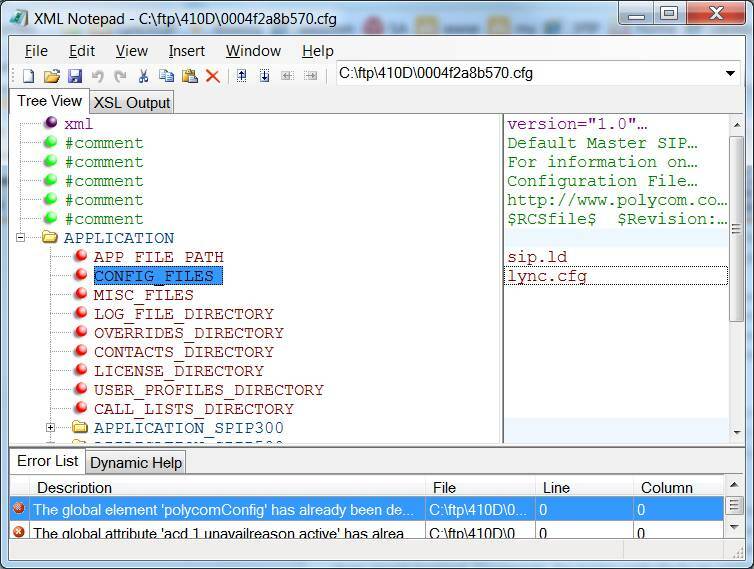 Note that the APPLICATION/CONFIG_FILES element contains just one "lync.cfg" file. You can specify multiple config files using commars but as mentioned, we will just configure this one file in order to get the phone woking with Lync. Once done, save the file into the ftp root directory and proceed to the next step. 1. Press the phone’s Home/Menu key. 2. 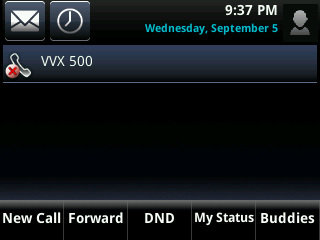 From the idle screen, press and hold the following key combination on the phone keypad for about 3 seconds. 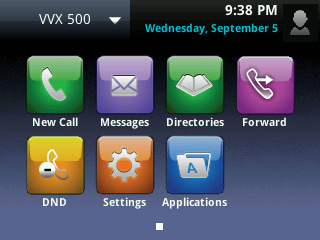 These multi-key combo (MKC) keys vary by phone and for the VVX500 this will be 1, 4, 9. Pressing and holding the MKC keys causes the Base Profile Password menu to display. 3. 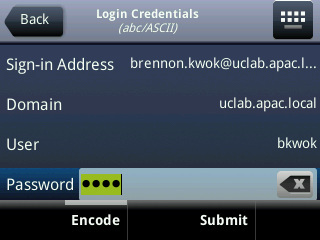 In the Base Profile Password screen, enter the password (default 456) and press Enter. 4. 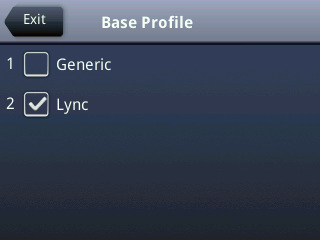 In the Base Profile menu, select Lync. The phone should then reboot. If the phone does not reboot, you can manually restart by powering off/on the phone. You can also manually reboot the phone: Press the Menu/Home key > Settings > Advanced, enter the password (default 456), press Enter, and choose Reboot Phone. If this is case then the certificate can be manually loaded onto the phone and I'll cover this in a later article. The latest firmware can operate in "Lync Base Profile" mode and requires no provisioning server to push config files. 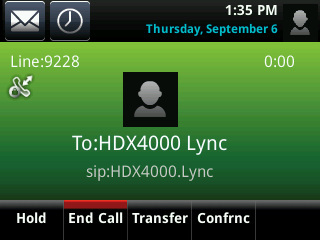 Simply switch the phone to Lync Base Profile as descibed in this article and login on the phone using your Lync SIP URI and AD credentials. Note that the phone in this mode is programmed to obtain the necessary certificates using DHCP options 43 and 120, so ensure these are available in your network. PIN AUTH is also supported. Note that unlike the CX range of Lync Optmized phones, these Lync-compatible phones do not support the USB tethering method for login. Contact your local Polycom sales representative to get an evaluation copy.